Should I Buy A TapSnap Franchise or Start My Own Photo Booth Business? You’ve decided that you’re ready to start a new venture and work for yourself, but how do you decide which way to go? Should you start a new business on your own and build it from the ground up, or should you buy into a franchise and start your entrepreneurial journey with the support of a parent company? Whether you decide to purchase a photo booth or become a TapSnap franchisee, we offer a high level of support for all business owners. From the tech support team who is available 24/7 if any issues arise to the graphic design team who will create wow-worthy graphics for your clients, you will have access to a team of dedicated individuals who will work to ensure your success. Whatever your goals may be, TapSnap has a solution for you. Here are some things to take into consideration when deciding which business journey is the best fit for you. Whether you want to start your franchise as a side business or you want to transition to operating TapSnap full-time, a franchise is a fun and flexible business opportunity. With a proven business model and an established brand, a TapSnap franchise is the perfect fit for someone who is looking for the highest level of support on their new entrepreneurial journey. We share the benefits of a TapSnap franchise below! Mari Killian is the proud franchise owner of TapSnap 1069 in Pennsylvania. If you have a background in brand development and marketing, then you may be equipped to handle creating your photo booth business on your own, but if you’re new to the marketing world, you may want to consider a franchise, which comes with a well established and respected brand. If you're building your business from the ground up, you will have to create a website and establish your brand. One of the perks of becoming a franchisee is the built-in marketing that you will receive. Since TapSnap is recognized around the world as a leader in the photo booth industry, you will also have instant brand awareness for your franchise. As a franchisee, you will be equipped with ongoing training and support, and you will also gain access to a network of like-minded fellow TapSnap franchisees to share ideas with. When you are learning the ropes of running your own TapSnap franchise, your fellow franchisees will be there to lend a helping hand. Just like you, they faced similar challenges when starting out and will be there to offer you support and guidance. Becoming a franchisee comes with upfront and ongoing fees, but it also comes with the comfort of knowing that it’s a proven business model that is working in other markets. With over 130 franchise locations around the world, TapSnap’s successful business model has helped franchise owners around the world achieve their entrepreneurial dreams. If you want to become part of the photo booth industry but you don’t need the level of support you would receive joining a franchise, buying a photo booth might be the best fit for you! Buying a photo booth is a great option for individuals who are adding a photo booth to a pre-existing photography, DJ or event planning business or for entrepreneurs who are interested in branding and marketing their photo booth company independently. Find out the benefits of buying a photo booth below! 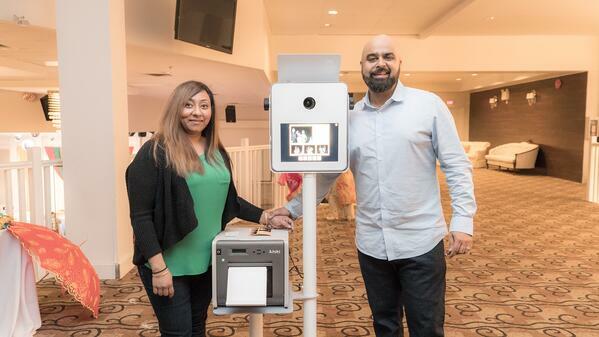 Related: Watch these new photo booth owners service their first event! Starting your own business could result in greater financial gains - if you’re willing to take the risk. If you purchase a photo booth, you will still receive access to around the clock tech support and the graphic design team will be ready to help, but you will be in charge of creating your own brand identity and marketing your business yourself. Should mention that our franchisees receive these services at no cost or discount. Did you know that a photo booth is a great marketing solution for an existing business? Not only does adding a photo booth to your business create a new revenue stream, it can help you stand out from your competitors. 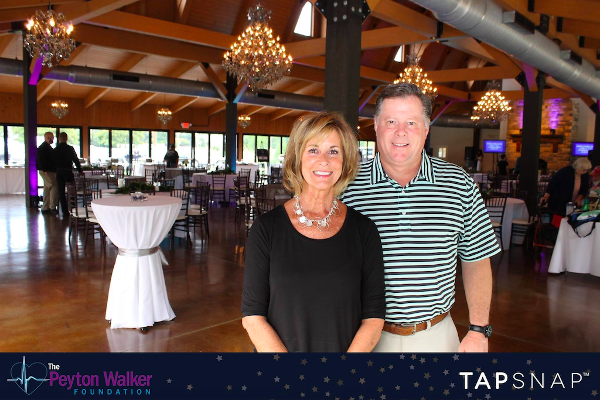 DJs, radio stations, event planners, marketing teams, and small business owners have added a TapSnap photo booth to their businesses and received great results! There’s no wrong or right answer when it comes to determining if you should start your own business or become a franchise. The important thing is to do your research, and make a decision based on your personal goals and aspirations. You can find out more about our business opportunities below!